Story: Tolkien knew what good storytelling looked like. The man was a professor at Oxford and specialized in English language and literature. He knew the Anglo-Saxon classics (like Beowulf, upon the scholarship of which he had a huge influence) and how they have endured through centuries—and you can see their impact in his work. His stories fit in the classic mold for mythology, and they continue to be popular for the same reason that mythological stories still hang around—because we identify with them on a deep, subconscious level. Tolkien was smart enough to recognize that and use it. 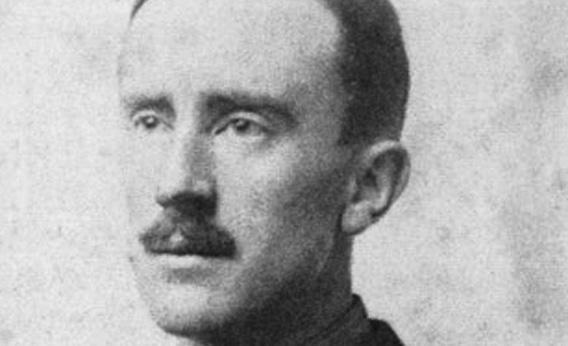 Prose: Being an English scholar, Tolkien had a wonderful head for words. I’ve heard many people complain that he’s long-winded, and I will admit that his long descriptive passages and epic tone are not for everyone. But for me at least, his use of words makes Middle-earth come alive. I can picture everything perfectly in my head in a way that I often can’t with other novels. To demonstrate, I took out Return of the King and simply opened the book. I landed on this gorgeous passage from Chapter V (The Steward and the King): “Over the city of Gondor doubt and great dread had hung. Fair weather and clear sun had seemed but a mockery to men whose days held little hope, and who looked each morning for news of doom. Their lord was dead and burned, dead lay the King of Rohan in their citadel, and the new king that had come to them in the night was gone again to a war with powers too dark and terrible for any might or valour to conquer. And no news came” (pg. 970). I only wish I could write that beautifully. It flows. It has such a distinctive tone to it and the feel of legend. Put all that together, and you get a rare man. The question details ask for plots that “blew my mind.” I honestly don’t think I could give you specific examples of Tolkien’s “genius” because there would simply be too many. And it’s hard to beat the amount of sheer influence Tolkien has on modern writers. I mean, play a game and reread Harry Potter, keeping track of the scenes/ideas that are lifted from Tolkien. There’s a lot of them. He made elves into majestic beings in a way that no one else had really ever done—but which is now standard in the fantasy genre. I will readily acknowledge that I owe at least half (and probably more) of my own fantasy novel to Tolkien, and I can only hope that my books will enjoy a twentieth of the popularity his do. I don’t feel like this answer is adequate enough to express how much of a genius I believe Tolkien is, but hopefully it at least gives you an idea of why I admire Tolkien so much. Why isn’t the Silmarillion as widely read as the Hobbit or the Trilogy? Why is J.R.R. Tolkien more famous than Isaac Asimov? What is Bilbo searching for in his dream at the end of chapter six of The Hobbit?